Jeff Melanson is Canadian business executive who has worked as a leader in the fine arts community and public sector for the past seventeen years. Jeff currently leads Creative Change Mangagement Consulting, a consulting firm that brings 50+ combined years of experience to the business and creative sectors. Throughout his career, Jeff has exhibited an ongoing commitment to building stronger and vibrant communities across the country using his vast creative entrepreneurship expertise. 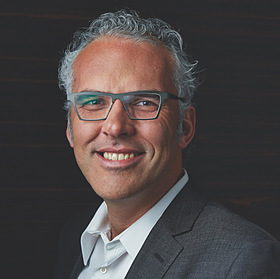 Prior to Creative Change Management Consulting, Jeff Melanson served as the President and CEO of the world renowned Toronto Symphony Orchestra (TSO), which is currently the orchestra in residence at Roy Thomson Hall in downtown Toronto. As leader of the historic Canadian institution, Jeff played a key role in enhancing attendance to well over 250,000 guests. He also aided in the awareness campaign that was able to introduce the beauty of live symphonic music to 23,000 first-time attendees during the 2015-2016 TSO season. Jeff’s proven ability to market to and engage a new demographic of symphony attendees also led to 44 sold out shows during the same season. As part of the initiative to encourage interaction with the fine arts, Jeff has launched and hosted Sunday Night with TSO radio show, which is the most listened to radio show in its time slot, boasting more than 43,000 listeners every week. Before living and working in Toronto, Jeff Melanson resided in Banff, Alberta, a picturesque city located in the Rock Mountain region. While living in Banff, Jeff served as President of The Banff Centre, the world’s largest creativity incubator serving a local and international pool of 4,000 artists, 2,000 mathematicians, 2,000 business leaders and over 20,000 conference participants. While working at the Banff Centre, Jeff also oversaw the operating budget of $60 million per year and managed the centre’s large staff of 574 full-time employees. As the leader of the The Banff Centre, he was also responsible for the creation of the Peter Lougheed Leadership Institute. In addition to this work, Jeff also rolled out a new strategic plan which included a focus on content capture/dissemination (radio, webcast, IPTV, TV, press, digital media). He and his team were also responsible for artistic programme renewal and campus redevelopment. Before working in the Canadian cultural and fine arts community, Jeff attended post-secondary school at University of Manitoba, where he earned his Bachelors of Music Degree in 1997. From there, Jeff went on to attain his Master’s Degree in Business Administration from Wilfrid Laurier University in Waterloo, Ontario in 1999. Jeff’s first job following his education was at The Royal Conservatory of Music’s Community School in downtown Toronto where he served as the Assistant Dean and then Dean. At the Royal Conservatory of Music, some of Jeff’s responsibilities included, strategic planning, corporate fundraising, business development, co-ordination of academic programming, curriculum development, financial planning, and faculty reviews. Following his service at the Royal Conservatory of Music, Jeff went on to serve as Executive Director of The National Ballet School In late 2006. Jeff also managed the school’s annual $22 million budget in addition to the strategic management, board governance, fundraising, marketing/development, and new product/service development. Outside of the work, Jeff volunteers as the Trustee for the National Guild for Community Arts Education in New York. In his spare time, Jeff enjoys swimming, biking, and running. Creative Change Management Consulting brings management and consulting expertise through deep experience in both the creative and business communities. Served as President & CEO for one of the world’s great orchestras. The TSO presents over 130 concerts each year and serves audiences of over 230,000 and more than 40,000 students in public school outreach initiatives. Mandate included creation of a new strategic plan, significant annual fundraising, and creating renewed energy around artist development, commissioning, new creations, youth orchestra, and community engagement activities. Results included a record fundraising year, landing the largest single investment in TSO history, creation and co-hosting of a new radio show Sunday Night With The TSO (#1 show in its timeslot serving 44,000 listeners each week), development of many new collaborations with partners (SickKids Hospital, Polaris Music Prize, Universal Music, Toronto International Film Festival, etc. ), attracting significant new audiences and consistent record attendance, as well as delivering breakeven performance and beginning to pay down the accumulated deficit of the TSO. Served as President of the world’s largest creativity incubator serving 4,000 artists, 2,000 mathematicians, 2,000 business leaders and over 20,000 conference participants. Lead the strategic development of content capture/dissemination (radio, webcast, IPTV, TV, press, digital media, etc. ), creation of the Peter Lougheed Leadership Institute (creative industries management, design thinking, arts education, social enterprise, indigenous leadership), artistic programme renewal (revised faculty, artist support, commissioning, specialized capital acquisitions, etc) and campus redevelopment strategic priorities. Lead a staff team of 574 full-time equivalents. Directly responsible for an operating budget of $60 million/year. Served as advisor to the Mayor of Toronto on all matters relating to Arts & Culture (funding, arts policy, infrastructure, taxation, etc.). This was an unpaid political appointment. Outcomes included the Creative Capital Gains strategy paper and an unprecedented increase in municipal arts funding directed towards the Toronto Arts Council. Served as Co-CEO of one of North America’s most prominent ballet schools. Responsible for strategic management, board governance, fundraising, marketing/development, new product/service development, human resources etc. Directly responsible for an annual budget of $22 million/year. Served as Chief Executive for one of North America’s largest community arts schools. Responsible for strategic management and implementation, fundraising, concert/event programming, academic/artistic programming, new product/service development, financial planning and performance, collective bargaining, and faculty performance evaluation. Directly responsible for an annual budget in excess of $6 million/year. Responsible for strategic planning, corporate fundraising, business development, co-ordination of academic programming, curriculum development, financial planning, and faculty performance reviews. Duties included direction of the Corporate Sponsorship, Foundation, Individual Giving, Special Events and Government Relation portfolios.